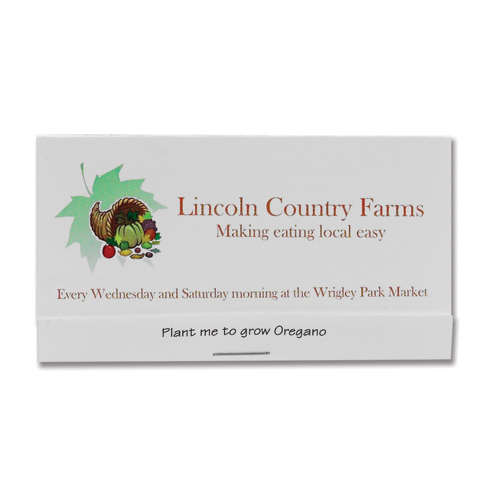 Matchbook cover holds seed packet. Your full color message printed on front and back of matchbook cover. 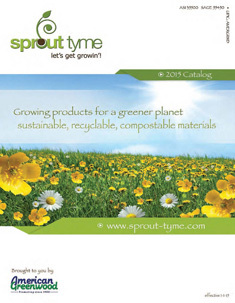 Additional seed information listed on inside cover and planting tips printed on seed packet. Get growin’! Full color imprint on front and back. Flowers: Forget Me Not, Money Plant, Annual Mixture, Zinnia, Marigold, Sunflower, Cosmos. Veggies: Early Girl Tomato, Roma Tomato, Tomatillo, Eggplant, Zucchini, Cucumber, French Radish, Carrot, Spinach, Red Leaf Lettuce, Jalapeno Pepper. Herbs: Basil, Oregano, Cilantro, Dill, Chives and Wheatgrass. Add 10% per seed change (50 piece minimum per seed) plus a $56.00 (G) set-up.